Whats on? 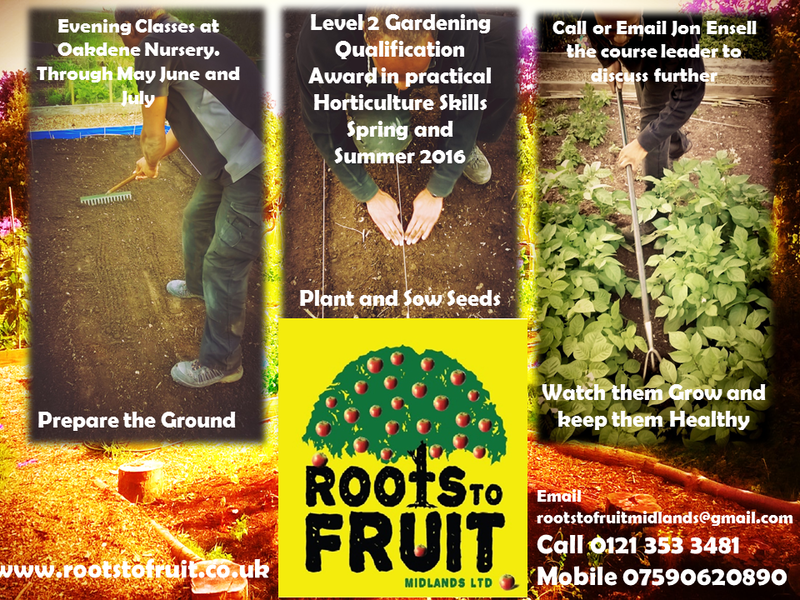 Check out events coming up in the near future both at Roots to Fruit Midlands Ltd and in the Local Area. 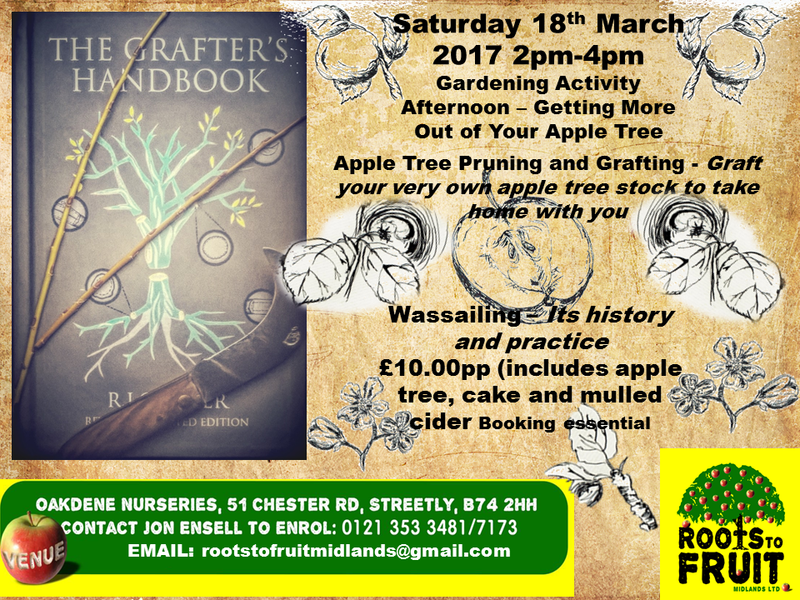 Back by popular demand the Saturday Gardening Master Classes. Take your planted tub and wreath home and make all of your friends jealous! 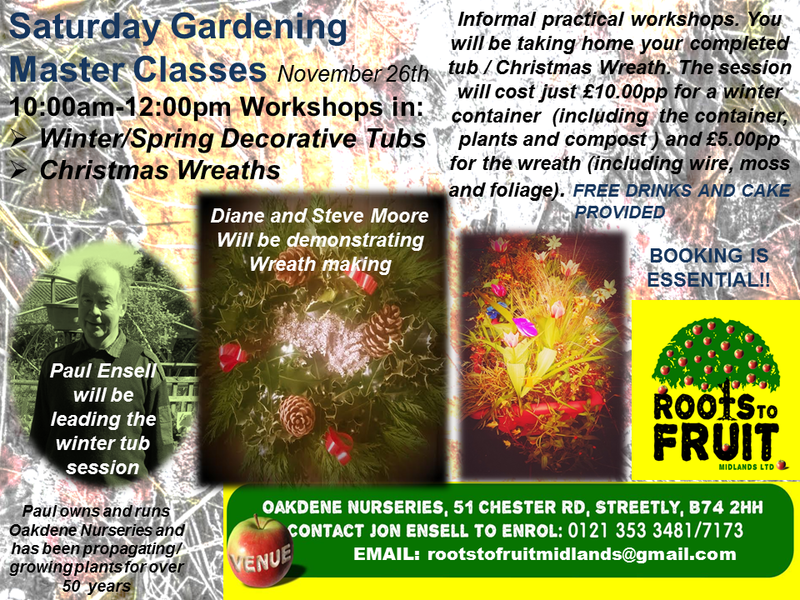 Venue:- Oakdene Nurseries (51 Chester Rd Streetly Sutton Coldfield B742HH). Let me know if you wish to attend. We are looking to run an evening course through the Autumn on a Wednesday evening from 7pm-9pm from September till the end of November. We will be running it as both level 2/ level 1 / un-accredited. How to plan and plant a winter hanging basket, container or bed. 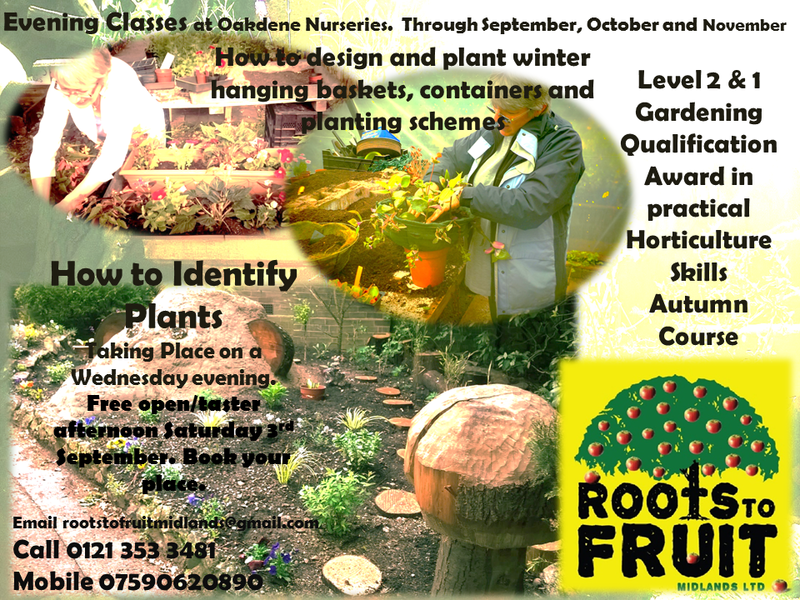 Free course taster session between 12pm and 3:30pm on Saturday 3rd September at Oakdene Nurseries booking is essential. This course will be a blend of practical horticulture skills development and the building of plant knowledge. *Previous learners can upgrade to certificate (discounts apply for previous learners). You will be learning how to prepare, plant and look after a garden/vegetable plot.